The day of wedding is approaching swiftly and you are still clueless about how to approach the wedding venue. The choices are many like vintage cars, Limousines, BMW's or a vintage car, the wedding transport has always intrigued grooms as all the eyes will be on them. A lot depends upon the distance you have to cover to reach at the venue and prevailing customs of the region. Whatever it may be, make a gracious entry to the wedding venue. The journey of the groom to the wedding venue is one of the most memorable event of his lifetime. Nowadays in many cases both the bride's side and the groom's side decide on a venue. When the groom hails from a different city, he along with his family and friends travels to the city of the bride . The brides family makes suitable arrangements for accommodation and transport.. In all the cases arrangement of Wedding Transport becomes a necessity. 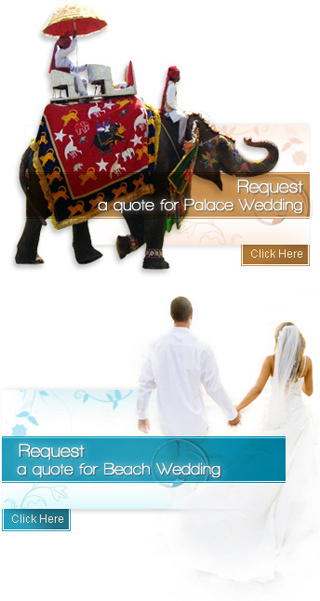 Wedding Transport is arranged according to the various needs of both the sides. If one of the parties has to travel to outstation places then it involves getting tickets for the destination, arrangement of accommodation and arranging transport to move from the place of arrival to the place of residence. Wedding Transport also constitutes arranging of a special vehicle for the groom when he moves from his place of residence to the venue of the wedding. Wedding Transport is not only required for the groom but for the entire 'baraat'. When the groom moves ahead in a car, the baraat or the wedding entourage usually travels by bus to the venue. In the 21st century India grooms prefer special cars like a Mercedes or a limousine as their Wedding Transport to the venue of marriage. The car or the horse of the groom is done up lavishly with decorations. The bus carrying the wedding entourage is also beautifully decorated with flowers and banners with the names of the bride and the groom written on it.